Sunday, October 21 2-4pm. Meet the Co-op’s new general manager. Hear Co-op updates. 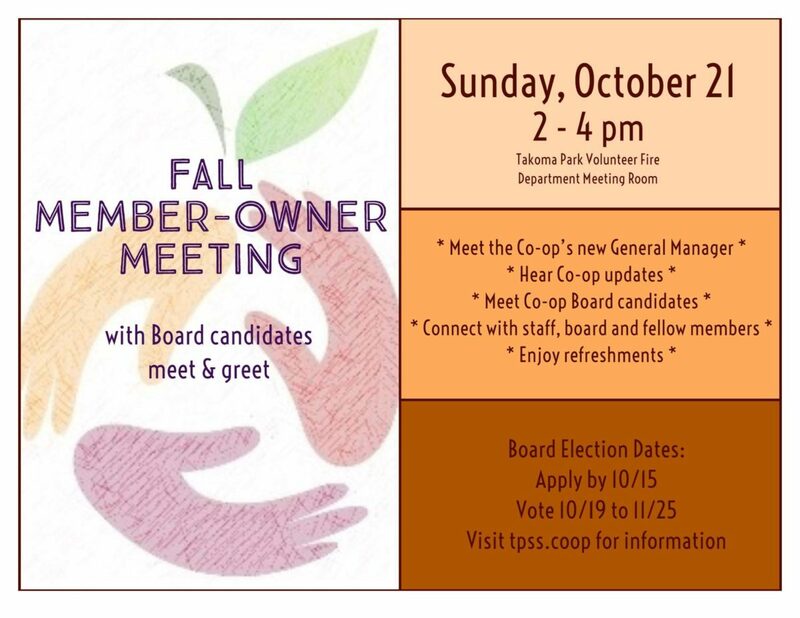 Meet Co-op Board candidates. Connect with staff, board, and fellow members.